of the artist's imagination -- this is the real deal! 'The males make loud noises when they mate." Today was our first full day on Galapagos, after spending over a day getting cleared by various and sundry Ecuador officials and handing over $800 for the pleasure. Close up of tortoise montage. 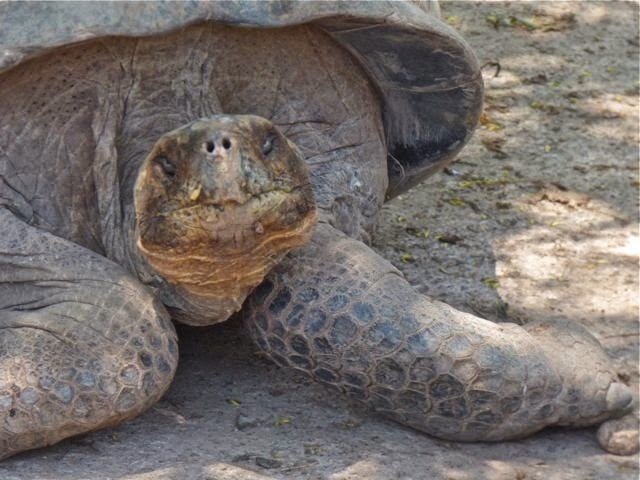 We kept it simple, mostly scouting about for future activities and a amble over to the Galapagos Tortoise Breeding Center, which is not far from town. The hike traverses "The Iguana Crossing" (true! more on that in a future post), past some surreal pumpkin-colored lagoons, rife with bird life (again, watch for more on that in a future post, too). Tortoises trying to get it on. 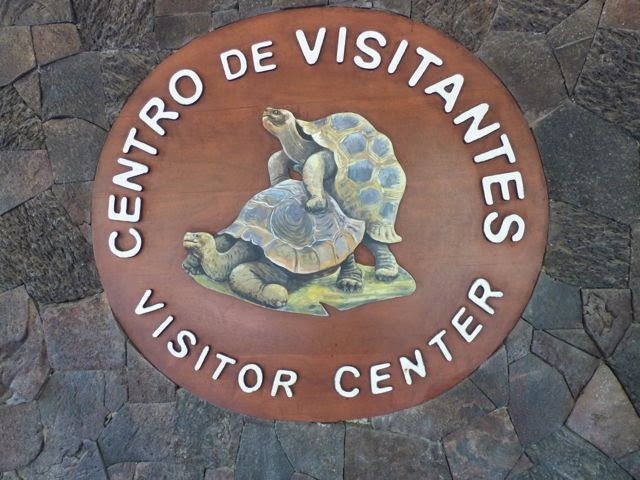 The Galapagos Tortoise Breeding Center Visitor Center was a refreshing change from our recent travels. There were even sparkling clean restrooms with flush toilets and fully stocked toilet paper. Not that may not seem like a big deal, but it's been absent for the most part since we left the States. As part of Galapagos National Park, we'd already paid for our access to Galapagos Park sites ($100/person) as part of our Galapagos check-in. Inside the Tortoise Breeding Center's Visitor Center. 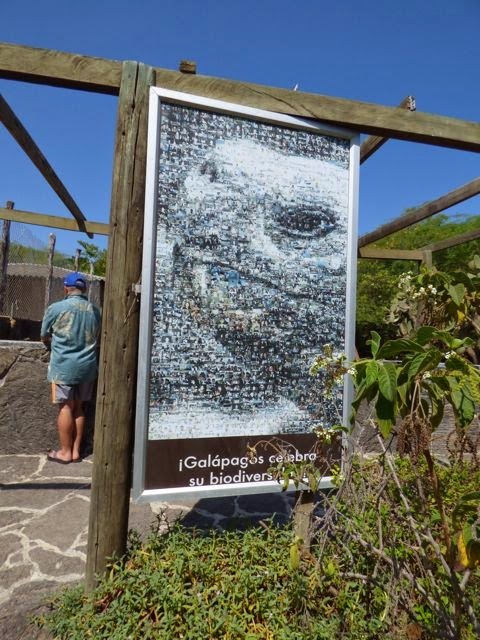 We were intrigued by the attractive tortoise montage poster outside the visitor's center. 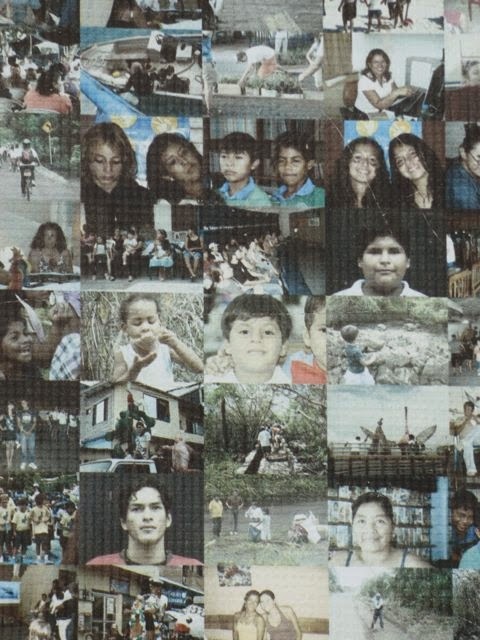 Upon closer inspection, we realized it was composed of of hundreds of tiny, cleverly laid out portrait photos, presumably of volunteers, visitors and staff. Rats. One of many tortoise predators. 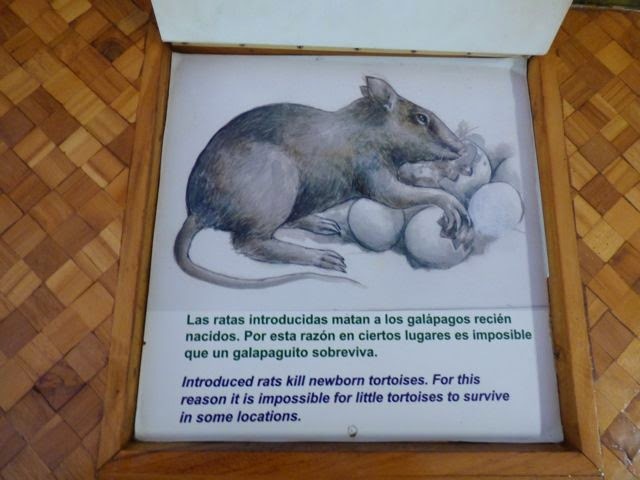 The entire Center's signs were in English and Spanish, very straightforward and matter-of-fact. 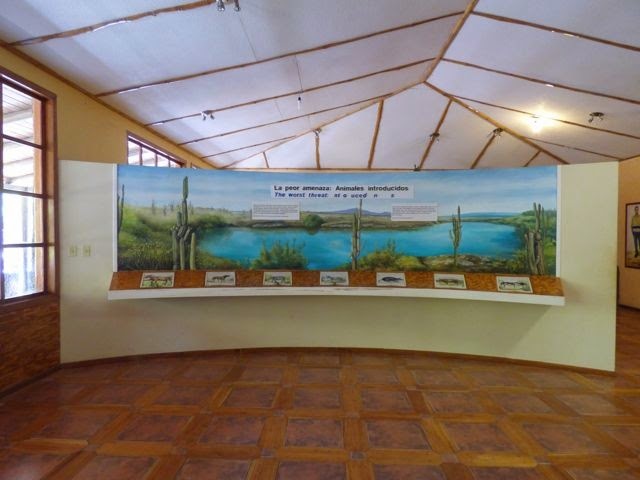 As well, the center's ecosystem murals were as beautifully executed as there were informative. Up close and personal (60x zoom). Looks like anyone you know? When a local volcano erupted 10 years ago, the center managed to wrassle up surviving males of a rare species for repopulation. 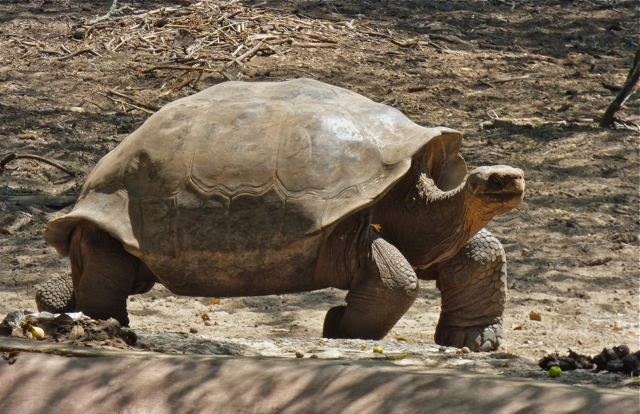 One would presume there were some ladies as well, given these randy gents are credited with siring 200 baby tortoises in the two ensuing years. Guess there were a lot of grunting and unhappy female tortoise! Hundreds of tortoise hung out in a series of low, walled gardens filled with watering holes. They eat Machineel apples, which look like green crabapples and for us would be lethal. Just about about every part of a beautiful, artfully twisted Machineel is poisonous... its trunk, leaves and fruit. Moving at warp speed for a tortoise! It was hot that day, so the tortoises kept to the shade and the watering holes and didn't move around a whole lot. 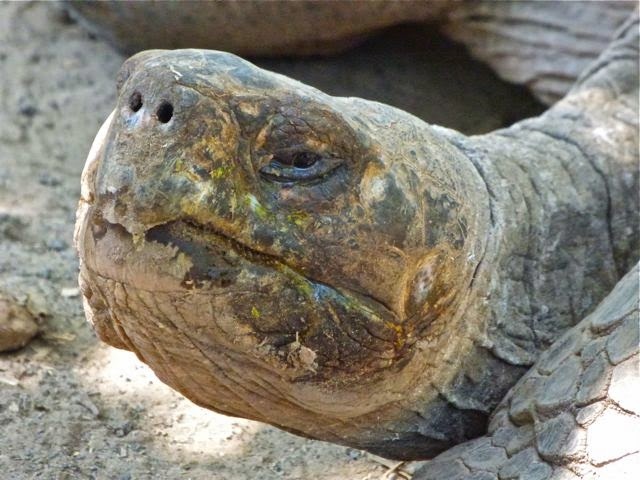 Then again, even when it's not hot, tortoises are hardly lithe creatures. In general, other than the one silly-faced fella in the first image, tortoise do not look like happy campers, male or female. Then again, if I ate poison apples, had to drag my home around on my back and suffered all the aches and pains the come with a century and a half lifespan, maybe I'd be cranky, too. 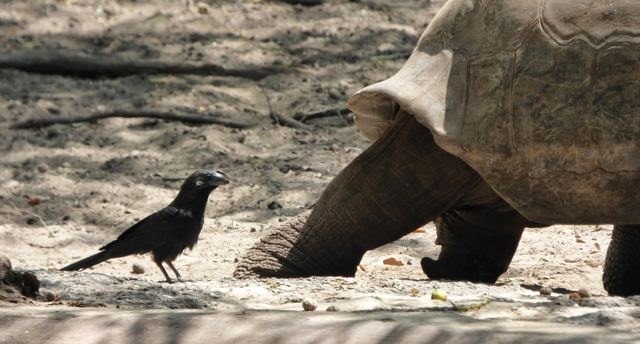 This bird was following the tortoise as it trucked along. Not sure why. In an case, they sure are a lot easier to catch in a photo that the leaping juvenile sea lions and penguins romping about in our anchorage. Not sure if I'll be able to get a photo of them or not. They're FAST! Thanks to a reasonably quick camera with a zoom lens, I'm betting as we venture onto other parts of Galapagos' Ilsa Isabela, we'll encounter wildlife plentiful enough they'll find their way into a future post, along with the marine iguanas, penguins and, when I see them, the blue boobies. "I'm getting in the last word on this!" 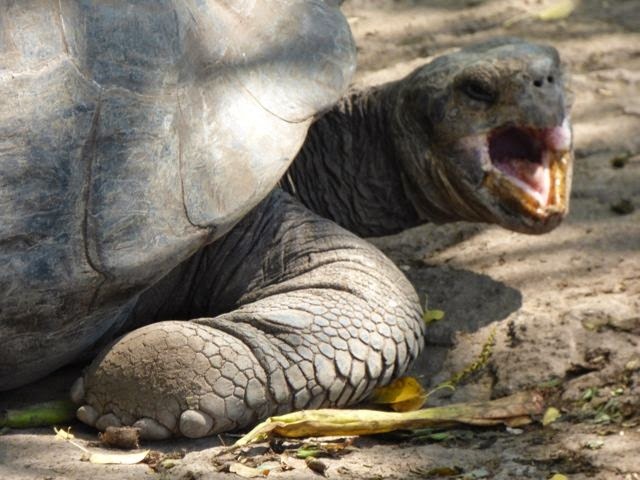 We are currently in the Galapagos, Ecuador, anchored off Isla Isabela (S0.57.924 W90.57.750). We figure we'll spend another five or so more days here before we head off to the Marquesas. At over 3,000 miles, that sails is over three times as long as Panama to the Galapagos! 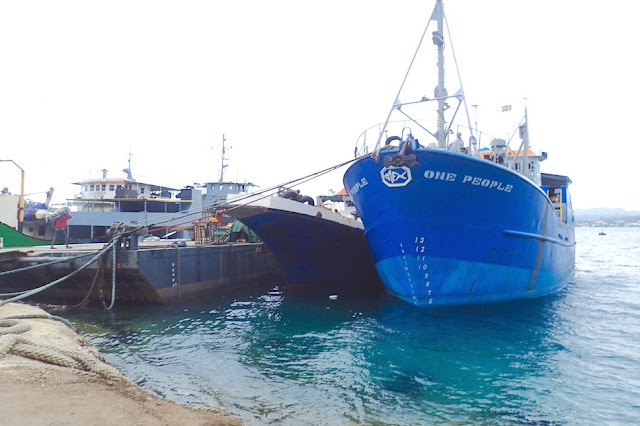 Panama's Isla Las Perlas to Galapagos was roughly 1,000 miles. Ilsa Isabella to the Marquesas is over 3,000 miles. The first two latitudes are still part of the doldrums, but after that it's known for it's steady (easy) trade winds. Wow! I mean, ummm, oh. Of course you made it. Congratulations. 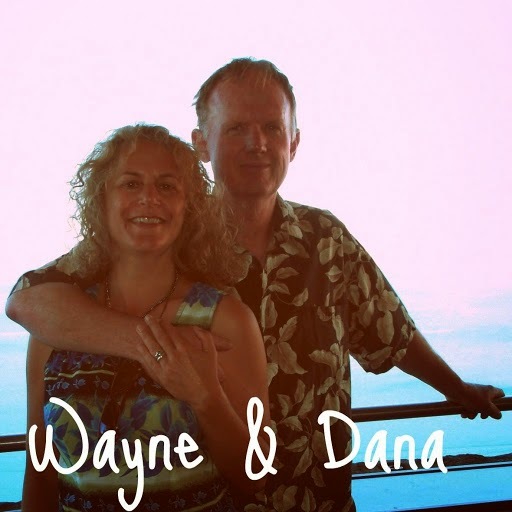 Thanks, Phil & Nancy. We figure if the passage to the Marquesas is even just half as pleasant as the one to Galapagos, we're stoked. Meanwhile, we're enjoying our small slice of the Galapagos.